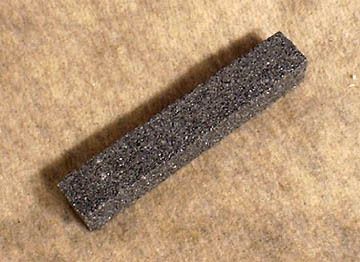 6 inch by 1 inch square silicon carbide stick to strengthen the edge of core in pressure and percussion flaking. An essential step in flintknapping. Use one of these and you'll discard your sandstone.